The FC Paris Arc En Ciel was created in 1997. We’re an LGBT-friendly football club open to everyone and based in Paris. The FC Paric Arc En Ciel is the oldest french gay football club. It’s also the only club to welcome both women and men at all aptitude levels, even absolute beginners. The Men’s teams play the championship of Football Loisir Amateur (FLA). Meanwhile the Women’s teams play the Championnat de Division d\\\’Honneur Régional (DHR) and the 7-a-side championship of the French Football Federation (FFF). We’re a member of the French Gay and Lesbian Sports Federation (Fédération Sportitive Gay et Lesbienne (FSGL), and of the International Gay & Lesbian Football Association (IGLFA). 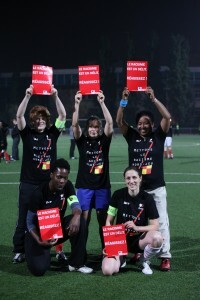 Our goal is to use football practice as a tool to prevent not only homophobia but also violence, racism. 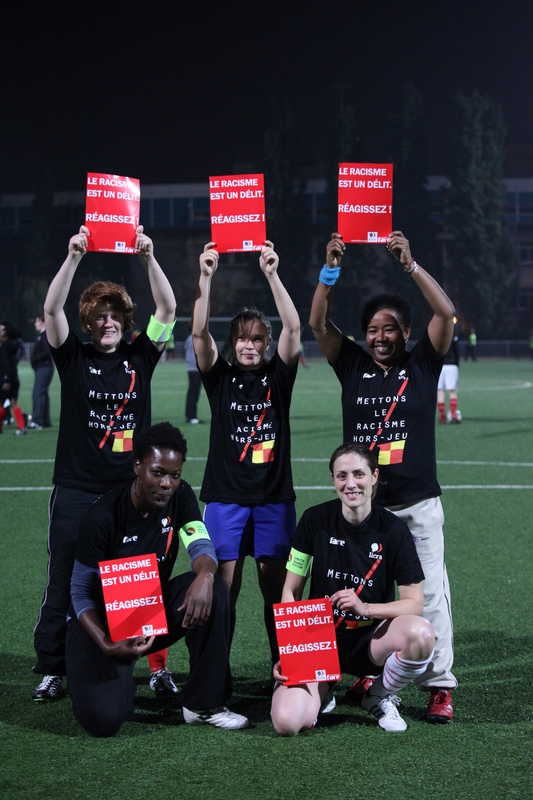 We’re involved in the fight against discriminations with the FARE (Football Against Racism in Europe) network and each year the club promotes activites aimed at supporting equality and fight against all kinds of discriminations and sexism. Le club compte une centaine d’adhérents, pour la saison 2015/2016, qui compose l’Assemblé Générale de l’association. Le club compte 5 entraîneur.e.s dont un directeur sportif. Et depuis cette saison 2 dirigeantes, l’une qui accompagne les déplacements de l’équipe à 11 féminine et l’autre s’occupant des gardiennes du club.